← Issue 2 Now Available! The Indiana Jones series is what happens when two powerhouses of the ‘70s and ‘80s decide to craft a love letter to the adventure serials of the 1930s and ‘40s. Indiana Jones is an adventurer first and an academic second, completing his archaeology in the field with little more than a whip, a revolver, and his hat. What is striking for me, is the way that you can use the Indiana Jones movies as a template for developing your own stories. There is the MacGuffin (the Ark of the Covenant, the Sankara Stones, the Holy Grail, the Crystal Skull). There are the outright villains (Nazis in the first and third film, evil cultists in the second, and communists in the fourth). There is the requisite love interest. Each follows the same basic formula. Indiana is after the MacGuffin. The bad guys want it too. In some cases (TEMPLE OF DOOM), they already have it. The question is whether Indiana can overcome the necessary obstacles to get, and keep, the object. That’s all well and good, and ultimately as complicated as you want to make it. Writing it down like that, it also comes across as rather dry. What makes the movies stand out and remain relevant in pop culture, is the way that it’s executed. Harrison Ford as Indiana is a compelling and charismatic character that draws the audience in. What also helps are the more than memorable villains, from the amoral rival Belloq to the outright evil Mola Ram of TEMPLE OF DOOM (and yes even Cate Blanchett as Irina Spalko in the otherwise unremarkable THE KINGDOM ON THE CRYSTAL SKULL). Also, the series makes excellent use of exotic locales. From South America to the Middle East and from China to India, there is no telling where his adventures are going to take Doctor Jones next, and shows how a setting can lend a sense of immediate adventure to a story. But what INDIANA JONES always got right was the sense of excitement and danger, especially when it came to its fight scenes. Whether it was a blazing bar in Nepal or a fist fight against a Nazi on top of a runaway tank, the scenes are stages so the environment is as much of a danger as any human opponent. Jones does get the better of his opponents, but it is always made into a legitimate struggle, making the emotional payoff when he overcomes the odds even better. 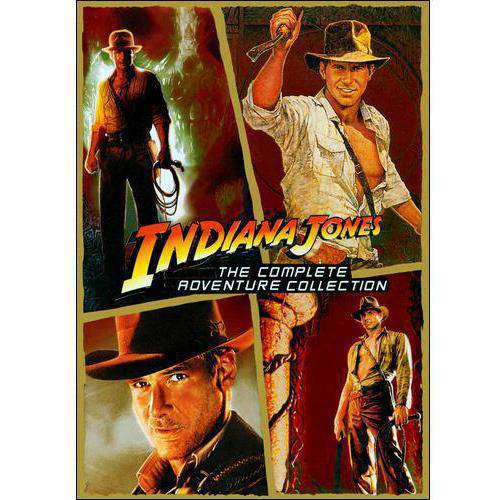 So if you find yourself browsing what we are looking for submissions and finding yourself scratching your head by what we mean by two-fisted action, Indiana Jones is an excellent place to start. This entry was posted in Pulp Appeal and tagged '80s movies, action movies, indiana jones, Pulp Appeal, two-fisted action. Bookmark the permalink. I have nothing but fond memories of the Indiana Jones movies (except the fourth one, still haven’t seen it), especially the Raiders of the Lost Ark. Yes, the exotic locales are cool and Harrison Ford is amazing. But it really is that sense of excitement and danger that sets these movies apart more than anything else. That is something that I see missing from a lot of modern movies. Even with crazily choreographed fight scenes, that sense of danger, excitement and adventure is pretty much gone. Compare that to the truck scene in Raiders. That scene was far more exciting than most of today’s bombastic action set pieces drenched in CGI. Absolutely! There are a few recent movies that come close (JOHN WICK, FURY ROAD), but they also rely heavily on practical effects instead of green screen.